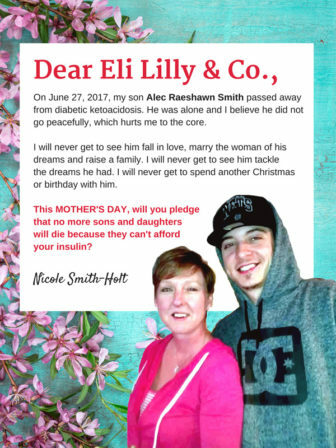 No mother should have to bury her child because they can’t afford insulin. 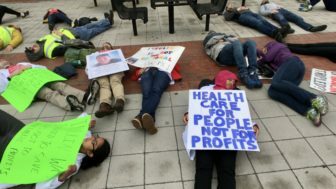 Insulin was first made available nearly one hundred years ago, but young people today are dying from lack of access to this life-saving drug. 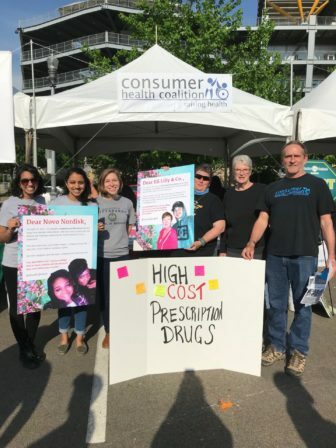 On the day before Mother’s Day, Saturday May 12, we are holding pharmaceutical companies accountable for putting profits over people’s lives. 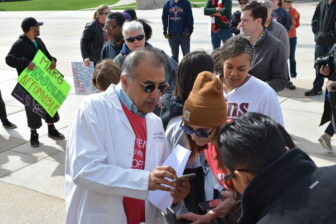 We are holding marches, rallies, and listening booths in cities throughout the country. 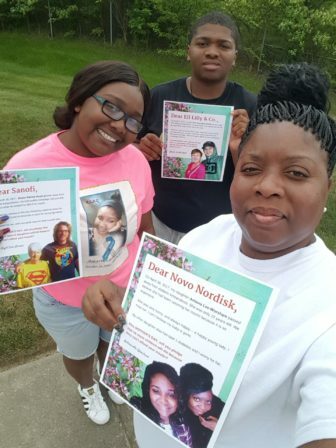 At these events we will collect signatures for Mother’s Day Cards to deliver to the offices of insulin manufacturers, featuring stories of mothers who have lost their children because they couldn’t access insulin. 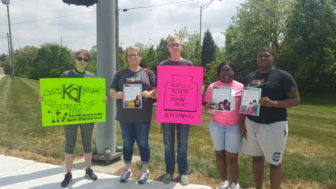 Please join us in telling pharma that they need to lower insulin prices, for the sake of parents and children everywhere who depend on this medicine to live. 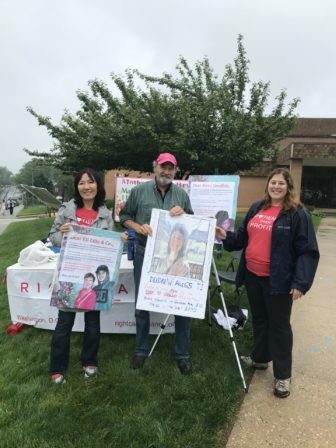 Check out pictures from the Mother’s Day weekend events! 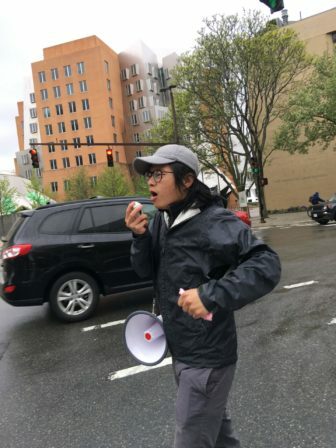 Chanting at the Boston march! 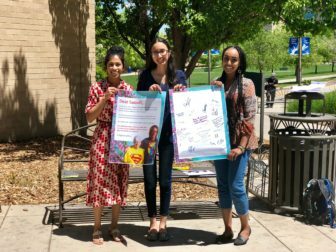 The giant Mother’s Day cards! 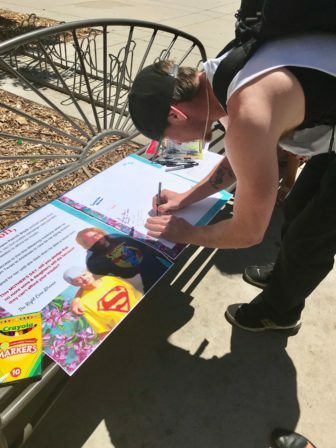 Signing the card in Denver! 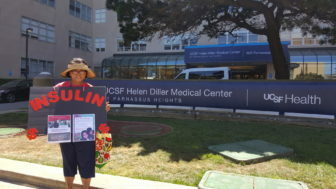 Print this 18×24 inch Mother’s Day Card for a poster for people to sign. 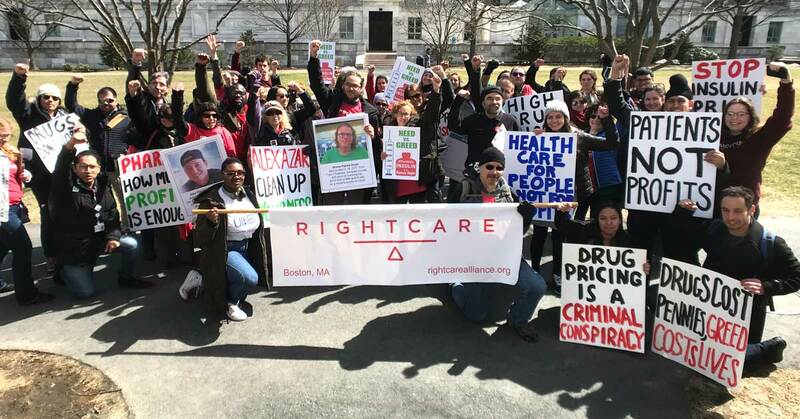 Use these JPG files to print for portraits for your May 12 marches and rallies! 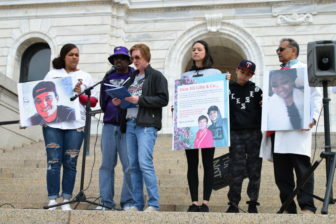 Sample media alert for May 12 events. 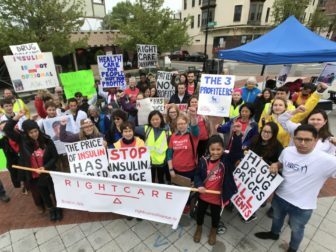 Key facts about insulin, the price increases, and who is affected by high prices. 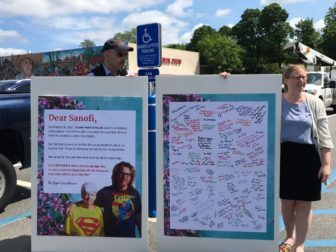 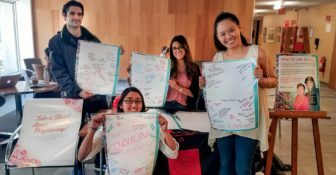 Check out our video of Mother’s Day marches for affordable insulin, including delivering the Mother’s Day card to Sanofi! 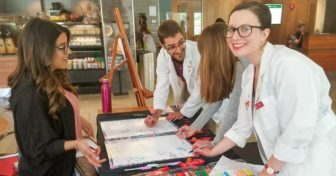 Hey buddy, can you spare some insulin? 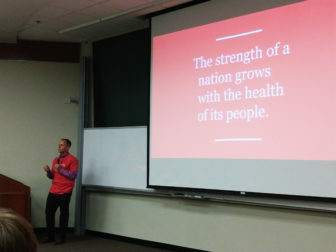 One man’s quest to get insulin for a fellow diabetic. 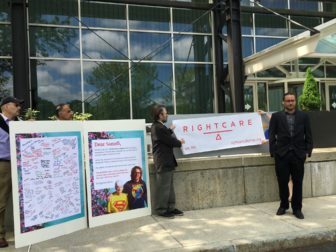 Read about the RCA Mother’s Day rallies across the country for affordable insulin! 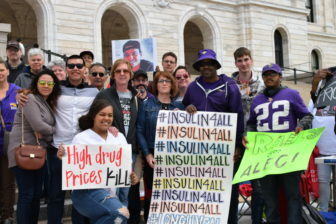 Two articles today in the Star Tribune and MPR (Minnesota Public Radio) feature the St. Paul Mother’s Day Rally for Affordable Insulin.